And so another work week starts. Am I the only one counting down the days to the holiday break? It can be so hard to concentrate on work these days! Working from home, I find I'm more productive when I'm actually working at my desk (as opposed to sitting at the dining table or on the sofa). But a lot of that might have to do with the view. 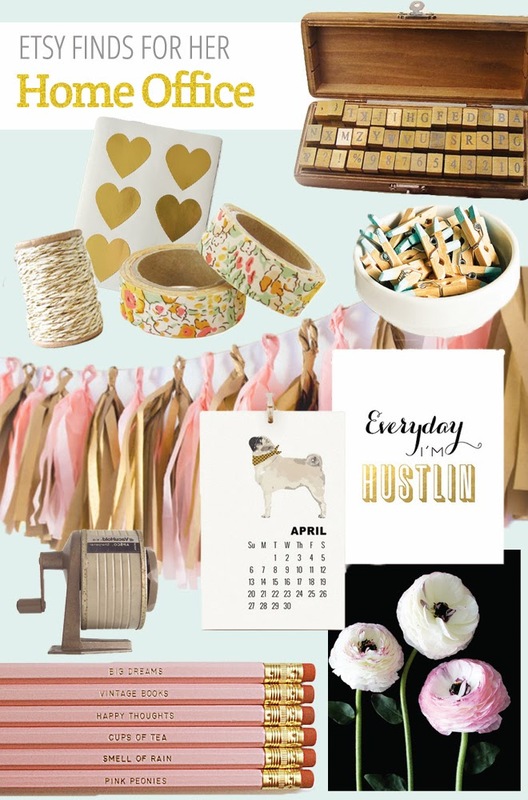 I like surrounding my desk with pretty things... artwork, cute paper and desk accessories. Somehow, using a pretty pen lifts my mood and makes work seem less like work. I've been in the shopping mood lately so I thought I'd share a few finds from Etsy that can make your home office a pleasant place to be. I swear, if HandyMan gave me stickers, paper, and washi tape for Christmas, I'd be more than happy. How about you... what does your desk look like?